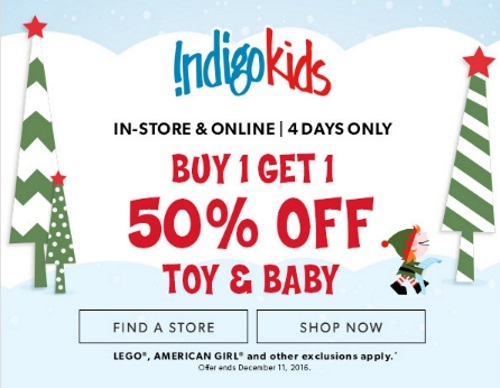 Chapters Indigo has a BOGO Sale on Toy & Baby items right now! When you buy 1 you can get 1 for 50% off! This offer is valid in-store and online for four days only through December 11, 2016. Offer excludes LEGO, American Girl, and other exclusions apply.